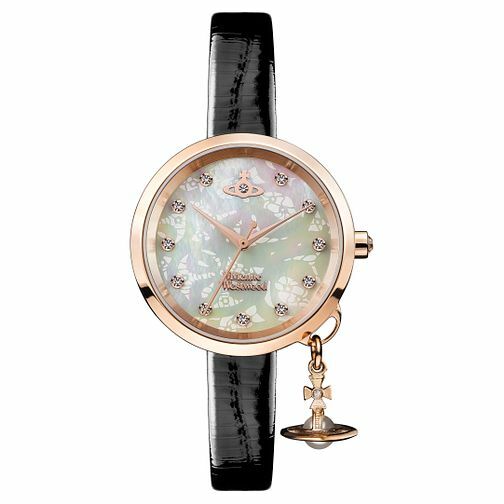 Vivienne Westwood makes an ethereal design that features an iridescent mother of pearl dial with intricate abstract patterns that add an additional layer of depth and with precious crystals punctuating the piece with a starry glint. The rose gold toned case and petite black leather strap gives the watch sophisticated edge and situates the dramatic colours of the dial as the centre piece. Finished with a small orb charm, this piece exudes individual charm and artistic flair.